Small (4-6) - $72.99 Only 6 left! Medium (8-10) - $72.99 Only 3 left! Large (12-14) - $72.99 Only 7 left! A night of sugar skulls, dancing and celebration are in order! Why? Well, Día de los Muertos is fast approaching and that’s the best way to honor the souls of those who have left us. Just think about it for a second! All of your loved ones would love to see your child having the time of his life decorating a sugar skull or Calaveras. They love to see him bringing a basket of bright flowers to share lost loved ones and you can bet they’d love to see him wearing this child Day of the Dead costume! 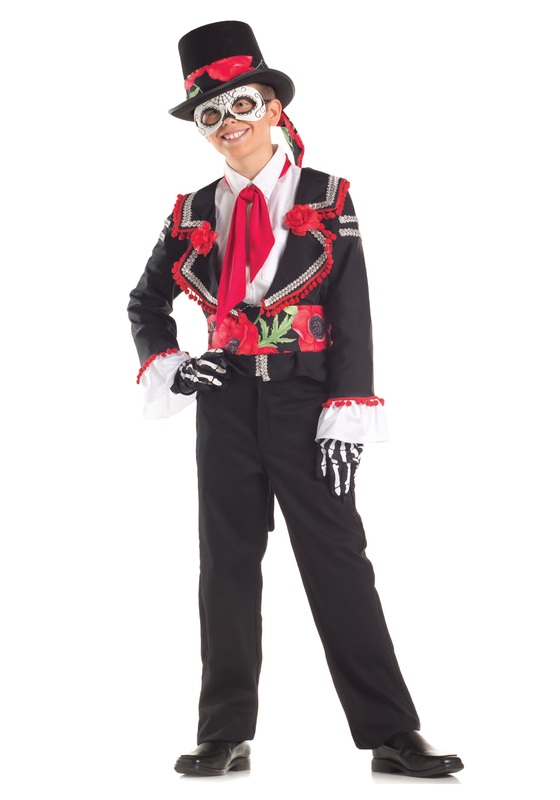 This Day of the Dead costume is made out of 100% polyester and comes with plenty of pieces to help your child look ready for the party. 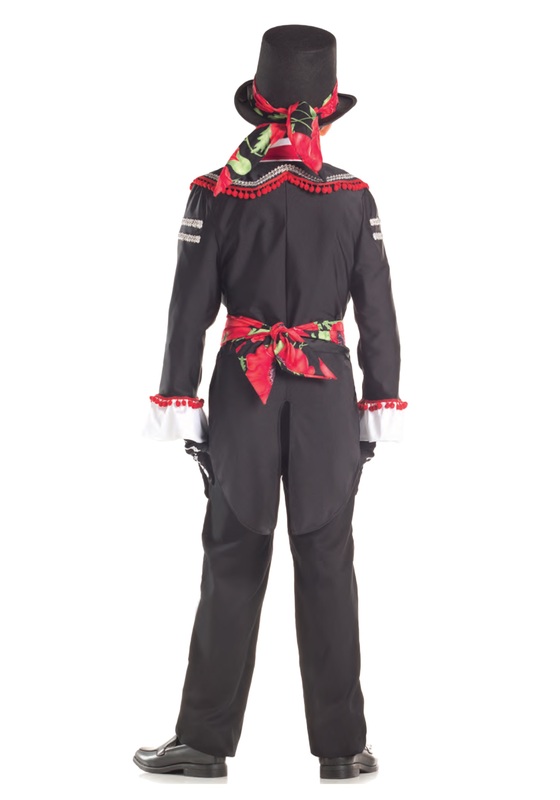 It comes with a black jacket that’s trimmed with brilliant silver braid and red fringe. It also comes with a floral print waist sash to go around the waist and a pair of black gloves with printed hand bones. It even comes with a felt top hat with a floral print band around the brim. Finally, the molded plastic mask fits around your child’s face to give him the look of a decorated Sugar skull. Your little one will be ready for the celebration of a lifetime when he puts the entire ensemble on!